Munio Makuuchi: On Boy’s Day I “I.D.” with Rocky Mountain Salmon…/…So where’s the Salmon? Fig. 1. Munio Makuuchi, On Boy’s Day I ‘I.D.’ with Rocky Mountain Salmon…/…So where’s the Salmon? (1985), drypoint printed in black on Arches paper, image 60.96 cm x 90.17 cm; sheet 74.93 cm x 105.41 cm. First state proof, edition unknown. Printed by Andrew Balkin, ACB Editions, Madison, WI. Smith College Museum of Art. Purchased with the Elizabeth Halsey Dock, class of 1933, Fund. One of the many benefits of working in an academic environment is the opportunity to discover artists through colleagues in different disciplines. I was introduced to the graphic work of Seattle-born artist/poet Munio Makuuchi (born Howard Munio Takahashi, 1934–2000) by Floyd Cheung, a professor of English at Smith College, who had unearthed examples of Makuuchi’s poetry in 2006 while doing archival research for another project.1 Together with the artist’s son, Jamie, Cheung arranged for Makuuchi’s unpublished collection of autobiographical poems, From Lake Minidoka to Lake Mendota: and back to the Northwest Sea, to be acquired by Smith’s rare book collection. This magnum opus is liberally illustrated with reproductions of the poet’s prints, and I was transfixed by Makuuchi’s large-scale, energetically layered, black-and-white drypoints. 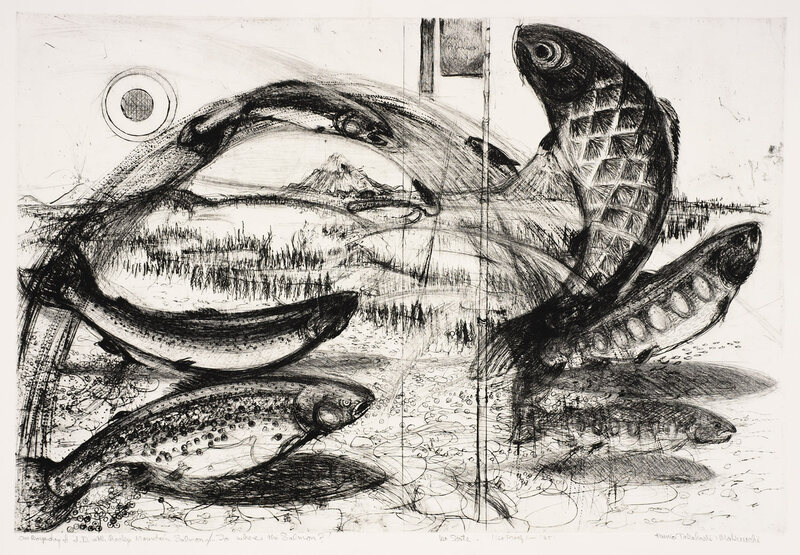 In 2007 the Smith College Museum of Art acquired its first print by the artist, On Boy’s Day I “I.D.” with Rocky Mountain Salmon…/…So where’s the Salmon? (Fig. 1). 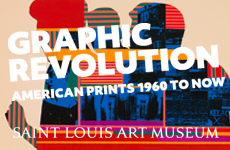 Since then, our collection has grown to 16 pieces, perhaps the largest group of Makuuchi graphics in any museum. Makuuchi’s work, both visual and literary, directly relates to his personal history. The eldest son of Japanese-American parents, Makuuchi and his family were confined in an internment camp for Japanese-Americans in southern Idaho from 1942 to 1945. One of ten facilities designed to contain around 120,000 Japanese-Americans living on the West Coast, the Minidoka Relocation Center housed some 9,000 men, women and children from Alaska, Oregon, and Washington (where the family had been living).2 This forced relocation set the stage for a later life full of geographical and cultural dislocation. Fig. 2. Munio Makuuchi, Whither Too? (n.d.), drypoint printed in black on thick, moderately textured, white paper, image 50.6 cm x 70.5 cm; sheet 61.4 cm x 79.9 cm. State proof, edition unknown. Printed by Andrew Balkin, ACB Editions, Madison, WI. Smith College Museum of Art. Gift of Jamie Makuuchi. 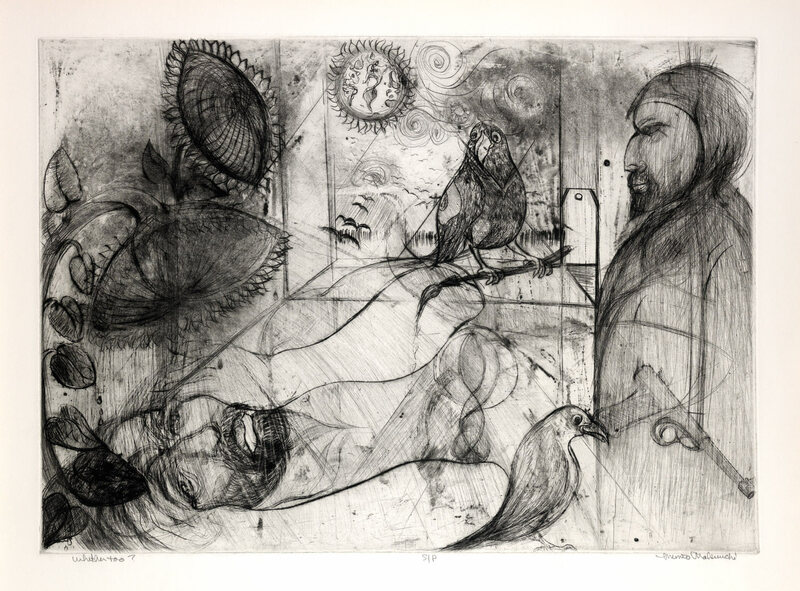 After receiving his BA in art education at the University of Colorado (1961), Makuuchi studied etching under Mauricio Lasansky at the University of Iowa (MA, 1964). Lasansky’s influence is evident in Makuuchi’s large-scale figurative drypoints with surreal and personal content. 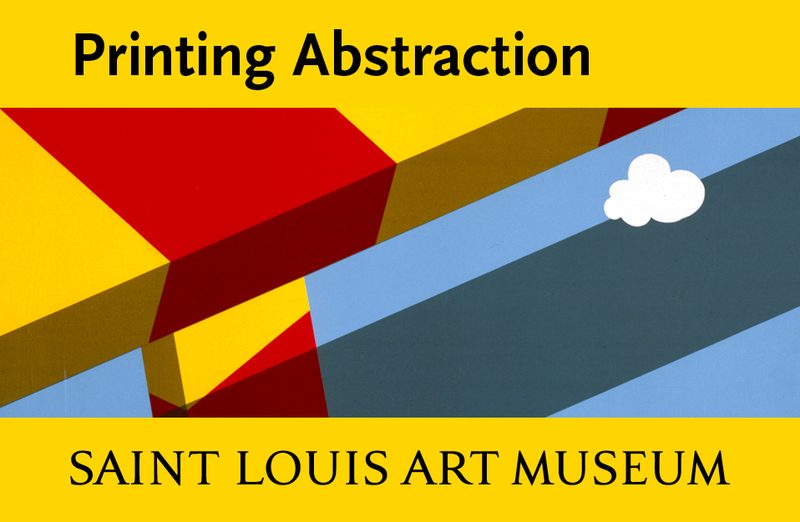 After a brief period of study at the University of Pennsylvania (1965–66), he moved to the University of Wisconsin, Madison, where he earned an MFA in painting (1975). Makuuchi then relocated to Nigeria where he was a professor of art at Adeyemi College and the University of Ife for nearly ten years before returning to Wisconsin in 1984, and eventually returning to Seattle in 1994 (the “Northwest Sea” mentioned in the Smith College manuscript title). Because he often worked and reworked his plates, dating Makuuchi’s prints can be difficult. He generally did not print editions, and he marked many of his prints “artist’s proofs” or as part of a hypothetical edition of 32 that was never completed. The “1985” inscribed on the SCMA impression of On Boy’s Day is a rare exception. On Boy’s Day—like much of Manuuchi’s work—relates directly to his personal history and cultural identity: the twin images of Mount Rainier and Mount Fuji can both be seen in the background. A bamboo pole bearing a flag bisects the composition, and a school of fish leaps dramatically across the center of the image. The pole and flag are part of the rituals celebrating the Japanese festival “Boy’s Day” (Tango-no-sekku), in which paper carp in the form of kites or flags are flown to celebrate the healthy growth of sons. Munio, the only male child in his family, represents himself symbolically as the fish that hangs from the pole. In Japan, the carp is a symbol of resilience and determination, and an embodiment of male virtues. But Makuuchi juxtaposes the stiff, upright paper carp, tethered to a pole and subject to the wind, with free-running Sockeye salmon, a species—like Makuuchi—native to the Northwest coast. The once-potent symbol of the carp reveals its limitations; traditional ideas of strength are shown to be paper-thin, while the salmon jump, leap and bend in both directions, their freedom underscored by arcs of spray that both trail behind and propel them forward. Fig. 3. 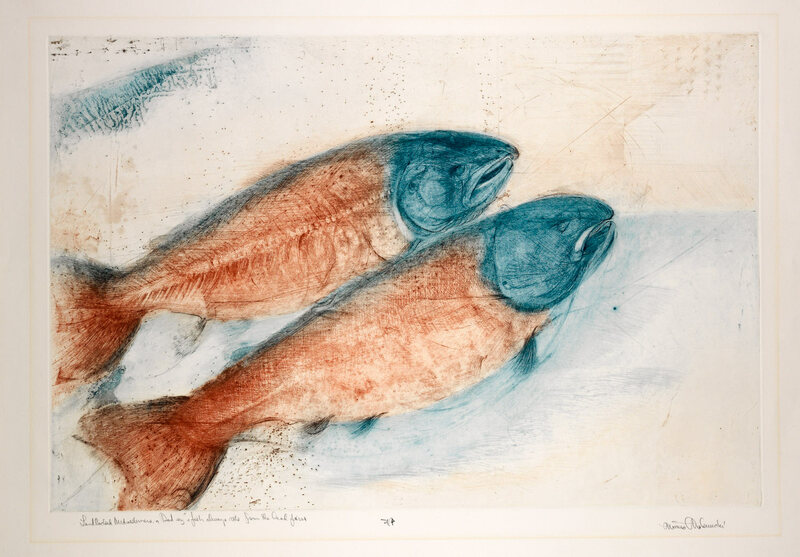 Munio Makuuchi, Landlocked Midwesterners / Dad Sez a Fish Always Rots from the Head First (n.d.), drypoint printed in blue and red on heavyweight, cream-colored Arches paper, sheet 75.2 cm x 106.2 cm; image 60.2 cm x 90.2 cm. State proof, edition unknown. Printed by Andrew Balkin, ACB Editions, Madison, WI. Smith College Museum of Art. Purchased with the Elizabeth Halsey Dock, class of 1933, Fund. Makuuchi’s fish are vigorously drawn in lines of varying weights and textures, from the layered, faint scratches that define the trajectory of the leaping salmon to the deeply carved, burr-encrusted outlines that define each fish’s body. Throughout his career as a printmaker, Makuuchi experimented with technique, augmenting etching needles with copper sheathing, for example, to increase their weight, or using natural fish oils to oxidize sections of the plate, as he did in one of his few works printed in color, Landlocked Midwesterners (Fig. 2).5 According to his friend and printer Andrew Balkin, Makuuchi most often sketched a rough design on the metal plate with a lithographic crayon, a step that was often preceded by the application of a grid (Balkin used the term “fields of energy”) to guide him. In some prints, such as Whither Too? [sic] (Fig. 3), this grid is readily apparent as a series of points from which lines radiate, a technique that balances and connects overlapping figures in the composition. Close examination of the salmon in On Boy’s Day reveals a palimpsest of ghost fish underneath the densely worked bodies. In clumsier hands these might read as mistakes, but Makuuchi’s deft touch turns such details into assets. On boy’s day I I.D. 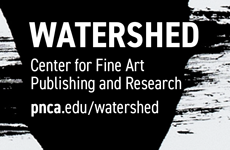 in a USA reeducation camp…..
As in the print, Makuuchi identifies with the restless, instinctive migrations of northwest salmon and views the postwar cultural assimilation of Japanese-Americans in a dubious light. Makuuchi’s “soul vittles,” the innate sensibilities through which he identifies as both an artist and as the product of two distinct cultures, allow him to stand above and apart from this integration. In the last line, he quotes Ira Gershwin (an icon of popular American music who was also born to immigrant parents) and defiantly asserts ownership of his memories and individuality. Makuuchi’s experience of internment was clearly pivotal to his artistic and personal development—his art is replete with images of movement and symbols of his Japanese-American heritage—but it would be a mistake to reduce such a heterogeneous career to a single defining event.7 Makuuchi’s own frequent migrations, his idiosyncratic approach to printing (or not printing) editions, his premature death at 65 and his generally antiestablishment attitude have all worked against widespread recognition of his work until now. Much remains to be discovered about this talented and intriguing artist. This article is part of the series, “Treasures from the Vault,” which was made possible with the generous support of the IFPDA Foundation. All images and words by Munio Makuuchi are copyrighted by the Estate of Munio Makuuchi and are reproduced courtesy of Jamie and Constance Makuuchi. This article is indebted to oral interviews conducted by Ariella Frishberg, Smith College class of 2012, as part of her coursework for American Studies 230, The Asian American Experience: Narratives of Internment, taught by Floyd Cheung. I am grateful for astute editorial comments from Michael Degener and Jessica Skwire Routhier.